About two decades ago, my best friend gave me a nickname that has stuck - Barn Girl. It all came about at one of our Together For Him concerts (a singing ministry we were a part of). I can't remember the exact incident, but after I spoke up without reservation about something, she said, "You're such a barn girl." Well, I wasn't raised on a farm or in a barn, but my maternal grandparents were farm people and I had cousins who lived out in the country. 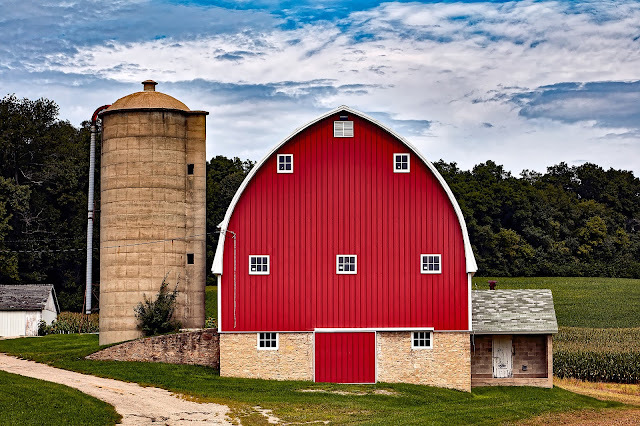 We visited often, and I have fond memories of visiting, riding their horse, playing hide and seek around the barn, and the smell of hay and the animals. Over the years, my friend has continued to use this endearing nickname to describe my boldness to speak up, or my where-with-all to get 'er done, in a plethora of situations. Maybe I should have been raised in a barn. But, after the lesson this past Sunday, I'm proud to own it! It was an ah-ha moment for me as my husband was continuing to teach about the appearances of Christ in the Old Testament in our Sunday School class. One of the appearances took place on a wheat threshing floor belonging to Ornan, the Jebuzite (I Chronicles 21:14-15). As my husband unpacked the incredible scene and began explaining the significance of Jesus Christ standing on this particular threshing floor with Ornan, the place where the wheat was separated from the chaff, I took notice of the place where the owner would store the wheat - in his barn. It was all a foreshadowing of Christ standing on His threshing floor as the Judge with His winnowing fork, separating the wheat (the saved) from the chaff (the unsaved) and placing His wheat in His barns. Now, there's so much more packed into this lesson that we don't have time to get into here, but at this point, I began to beam! 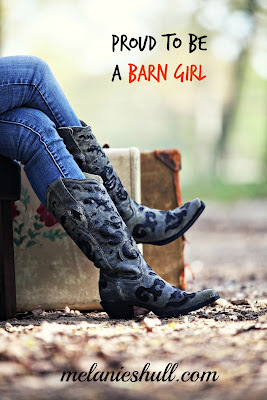 I realized that being a Barn Girl is quite the compliment and not just a friendly tease. I can wear my nickname and smile because Christ, who separates the wheat from the chaff, keeps His children (His wheat) safe and secure in His beautiful barns and storehouses. How cool is that? Now where did I put my boots?